John and Becky Durham, RE/MAX Results realtors in Woodbury, MN and Hudson, WI are excited to share the story of this lovely young couple and their relocation to MN. With a new baby, this young family was ready to move back to MN so they could raise their daughter near family. But relocating to MN wasn’t as easy as they had hoped. These first time home buyers found themselves in a very competitive Twin Cities housing market. Seller’s market in the Twin Cities. With so few new listings hitting the market, there are more buyers than homes available to buy. Our buyers encountered multiple offer situations. 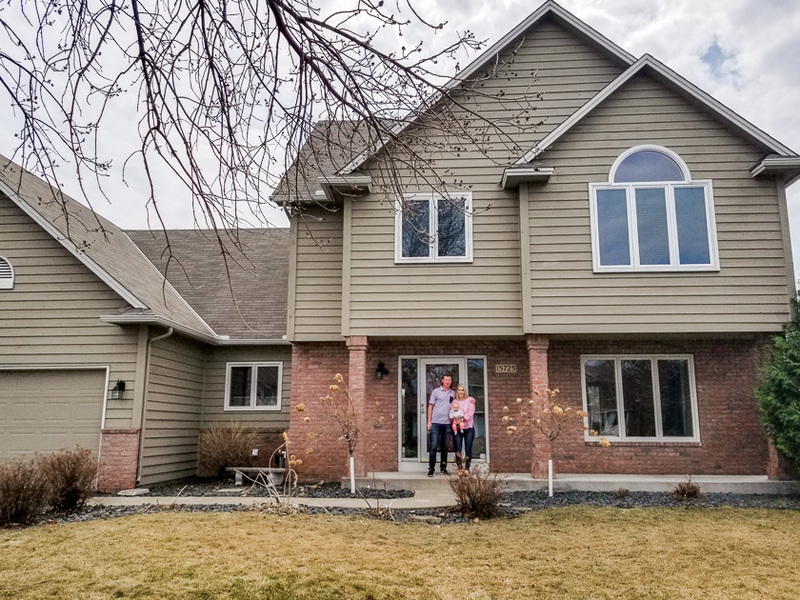 Relying on John and Becky’s negotiating strategies, they got past the first hurdle when the seller’s accepted their offer on this beautiful Maple Grove, MN home. More problems arose when the home didn’t appraise for the selling price. It’s (homes not appraising) happening a lot right now in the Twin Cities real estate market. With limited inventory and high demand, home prices are rising faster than appraisers are able to allow for. In this post-recession era, banks are not willing to write mortgages for more than they think a home is worth. It’s going to be interesting to see how this plays out during the 2018 real estate season. But John and Becky worked hard to negotiate a favorable outcome for buyers with two attorneys involved with the transaction when problems were discovered in the home, and once again when the home appraised for less than the sale price. Our happy home buyers not only secured the home in a very competitive market but purchased it at a very favorable price. The buyers are now settled into their lovely new home, and ready to set down roots in Minnesota! If you are considering buying a home in the Twin Cities, don’t get stressed out thinking it’s going to be too hard. Leave the hard stuff to John and Becky! That’s their job. They will guide you through the process, from beginning to end. They will help you find the perfect home, and make sure you get the best price and terms possible. John is a real estate BROKER, with additional training beyond that of a typical ‘Realtor’, meaning he can expertly negotiate complex transactions and difficult situations.